Some are calling it a sign from God. It makes sense, God has done it before. God sent a plague of locusts into Egypt to send a message to Pharaoh. Now video shows another plague of locusts swarming Islam’s holiest site. 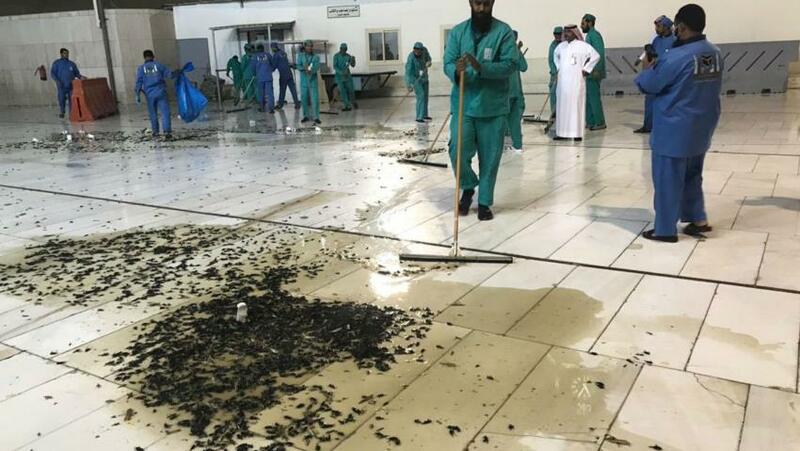 The swarm has gotten so bad that officials have had to launch an unprecedented operation to clean up the holy site. But perhaps they’re missing the point? Maybe this swarm of locusts is about more than just the “safety and comfort of guests” or the annoyance of pesky insects? What if God is trying to send the Muslim world a message? A message to repent and follow the true God of the Bible, to accept Jesus Christ as their Lord and Savior. As we read in Exodus, God sent a similar message to Pharaoh and the Egyptians. How long will the Muslim people refuse to humble themselves before the true God? And what clearer sign can you ask for than a plague of locusts upon Islam’s holiest of sites? Mecca is believed to be the birthplace of Mohammed and every Muslim is required to make a pilgrimage there, known as the Hajj, at least once in their lives. It is also the direction towards all Muslims are required to pray, no matter where they are in the world. If God wanted to send a message that all Muslims would see, this would be the place to do it. And God is clearly working in the Muslim world. More and more former Muslims are repenting and coming to Christ, many because of dreams in which Jesus comes to them and shows them that He is the way, the truth, and the light. Please pray that the Muslim world will indeed truly humble itself before the real God.